The Washington Nationals have re-signed starter Jeremy Hellickson to a one-year contract that will guarantee the right-hander $1.3MM. There is also $4MM in incentives, much like last years contract, that Hellickson can earn based off of starts alone. If Hellickson remains healthy and pitches effectively, he should be able to reach all incentives as that would mean he made 30 starts for the club. Hellickson, soon to be 32, has pitched for five different teams over his nine-year career. Last season Hellickson started 19 games for the Nationals while pitching to a 3.45 ERA over 91.1 innings. Hellickson, the 2011 AL Rookie of the Year Award winner and 2012 AL Gold Glove Award winner, has been a fairly consistent pitcher of the course of his career as he has pitched in 146+ innings in all but two seasons since his fantastic rookie campaign. Last seasons ERA was the lowest it has been since his first two full seasons in the big leagues although his career ERA sits above 4. He is a pitcher that will give you innings but will also give up some runs and not produce a lot of strikeouts either as he owns a career 6.6 K/9. 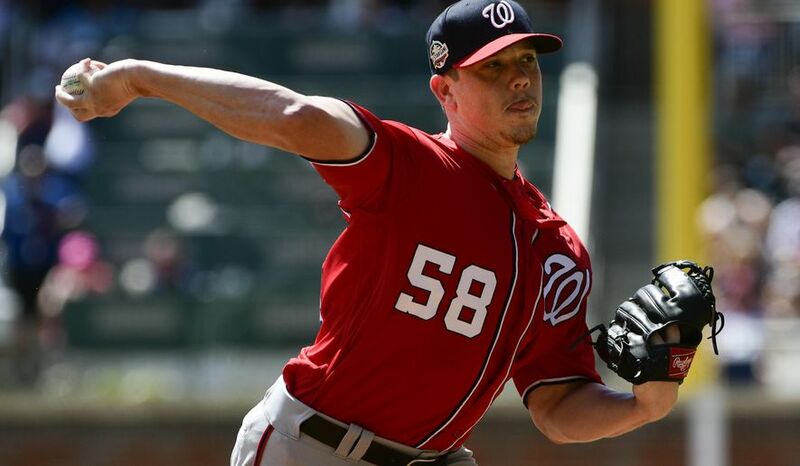 With the signing, the Nats add their third rotation piece of the winter as Hellickson joins Patrick Corbin, and Anibal Sanchez as recent additions. Of course the club has Max Scherzer and Stephen Strasburg entrenched atop their rotation already so presumably their rotation is set at the moment. With Spring Training about to start and injuries a part of the game, the Nats do have a couple options that can step in if necessary in righties Erick Fedde and Joe Ross. The club is hopeful that the two can provide depth in the minors instead, but both are highly thought of pitchers and will be awaiting the call.